iExec is a decentralized marketplace for trading cloud resources. The much-anticipated iExec V3 will be released on May 15 to include the monetization of datasets and enable new business models. Our calendar is full of surprises and announcements that will start on the day of V3, and be slowly rolled out in the weeks afterward. One of the major features enabled by iExec’s V3 is the ability to rent or share datasets. Our CEO, Gilles Fedak, explained on March 5 how this new paradigm is possible in a talk titled “How Intel SGX and Ethereum Can Be Leveraged to Monetize Datasets”. 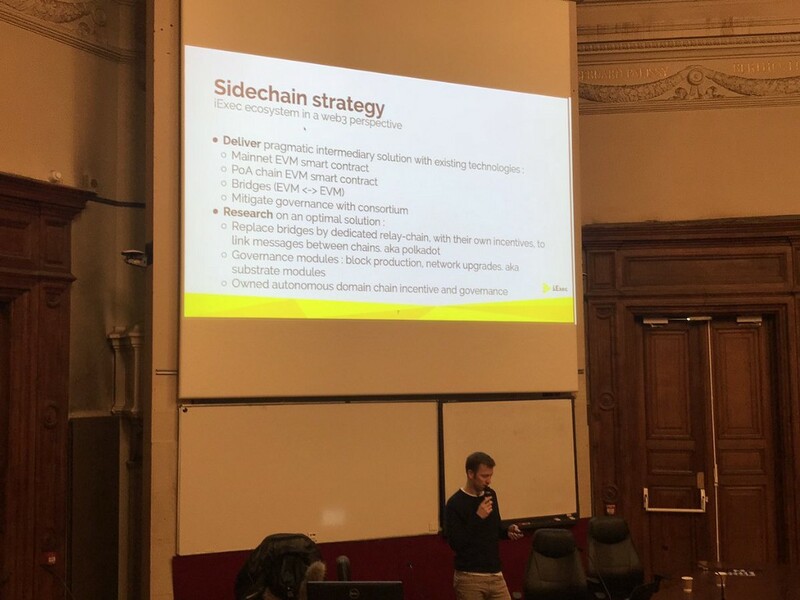 Our Ethereum developer Francois Branciard gave a talk on March 5 titled “Substrate Meets iExec: How to Build a Domain-Specific Token-Based Chain”. As a 2nd layer protocol in the Web3 technology stack, iExec is building on Substrate, with the ultimate goal of having an autonomous chain with its own governance. 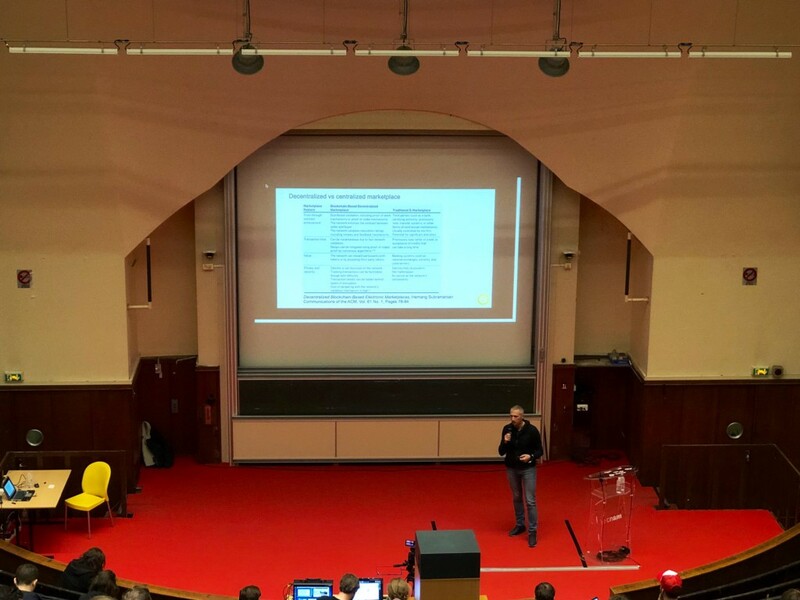 EthCC was also a unique opportunity for learning new skills through workshops for developers and researchers. 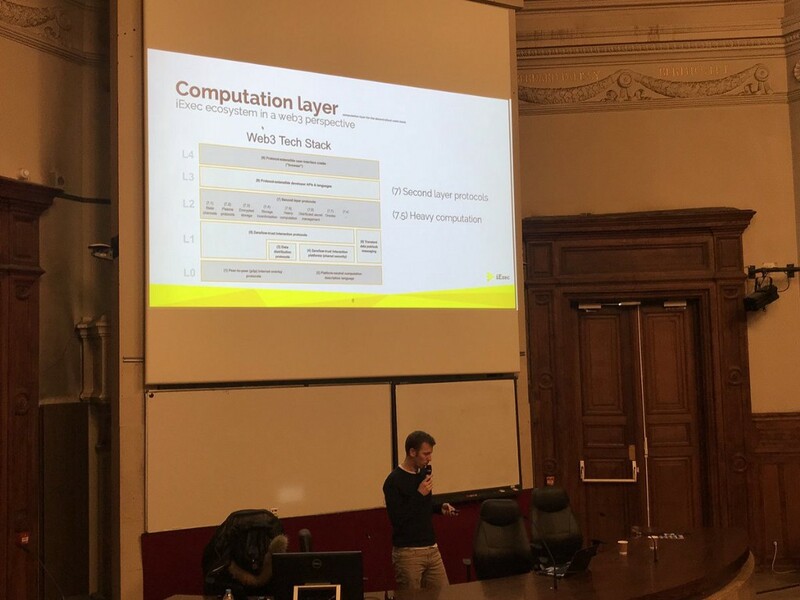 Our whole technical team gathered on March 7 to delivered a practical session on how to build your own decentralized application, and monetize our computing resources on iExec’s marketplace.